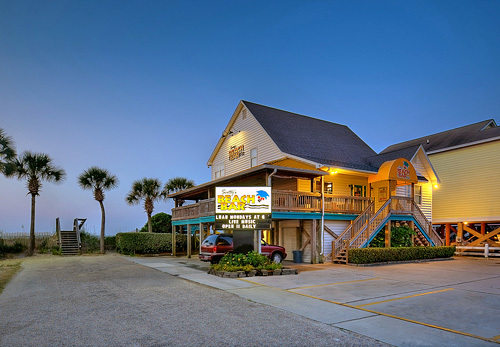 Situated on the Grand Strand in South Carolina, between Myrtle Beach and Pawleys Island, Surfside Beach Resort offers conveniently located accommodations overlooking the Atlantic Ocean. Guests of all ages can enjoy wireless Internet access, in-room mini refrigerators and microwaves, private balconies, an outdoor pool and hot tub, on-site meeting space for up to 40 attendees, and more. 1.4 miles from Wild Water & Wheels water park. 8.4 miles from Myrtle Beach. 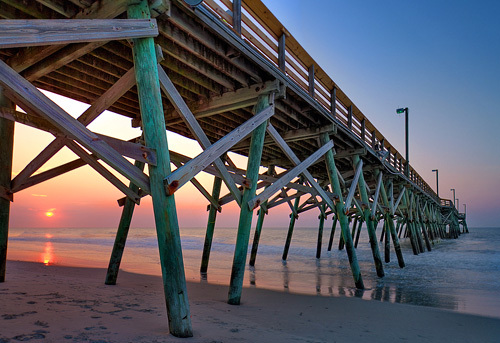 Located along South Carolina's Grand Strand, between Myrtle Beach and Pawleys Island, sits Surfside Beach, proudly called "The Family Beach." This locale has provided a quiet and peaceful vacation spot for families for many years. The oceanfront Surfside Beach Resort overlooks the beautiful Atlantic Ocean and provides the perfect place to stay while you relax and enjoy the beauty and attractions of the area. 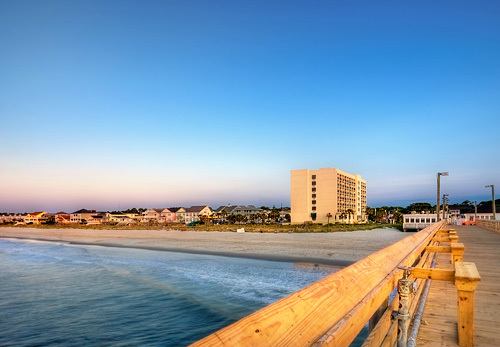 Just 5 miles south of Myrtle Beach, Surfside Beach Resort is minutes away from the area's entertainment mecca, providing everything from amusement parks and water parks to dining and theater. Wake up each morning to the sound of waves crashing on the beach. Enjoy spectacular views of the beautiful Atlantic Ocean from your tastefully decorated room. These oceanfront rooms feature free wireless internet, in-room coffee makers and mini-fridge for your convenience, plus most rooms feature a private balcony. This beachfront resort provides private beach access, and an outdoor swimming pool and hot tub. 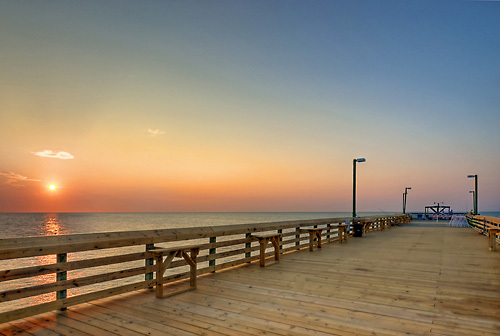 Many activities are within your reach - enjoy a day of fishing on the adjacent Surfside Pier, take in the area's attractions and theme parks, play a round of golf at one of the many championship courses nearby or just soak up the sun on the pristine, sandy beach. 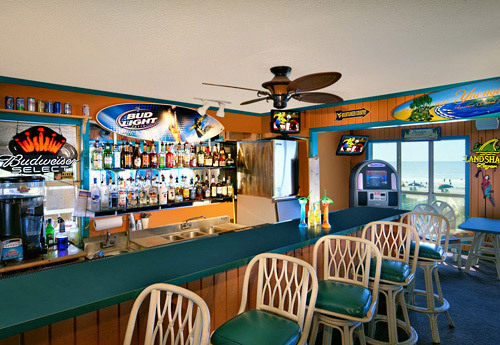 There is something for everyone at Surfside Beach Resort. 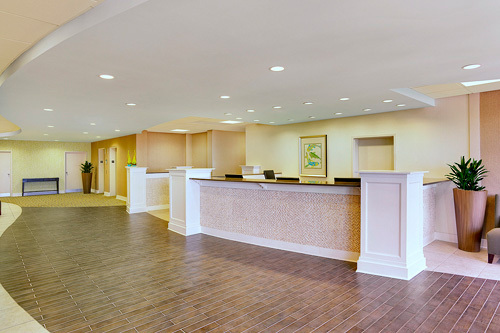 How many rooms are available at Surfside Beach Resort? There are 157 rooms are available at this property. 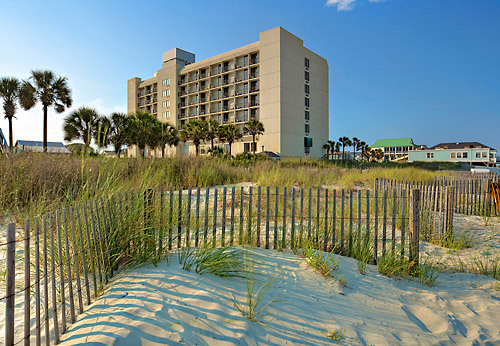 How many buildings comprise your units at Surfside Beach Resort? There is one main building at the resort, housing all of the units, with a total of 8 floors. 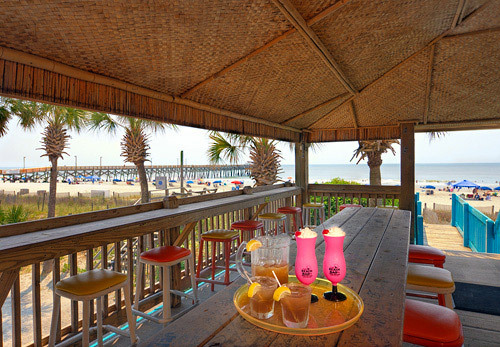 There is a beachfront bar, open seasonally, that is available to guests. 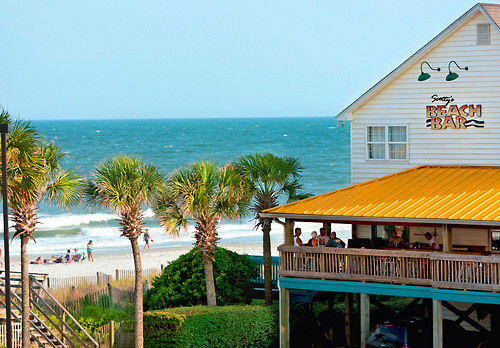 The Surfside Beach Café is also located on-site. Do you have a minimum age required for check-in at Surfside Beach Resort? Surfside Beach Resort does not charge any resort fees. Do you charge for cribs or rollaways at Surfside Beach Resort? Cribs and rollaways are available for $10, per day. 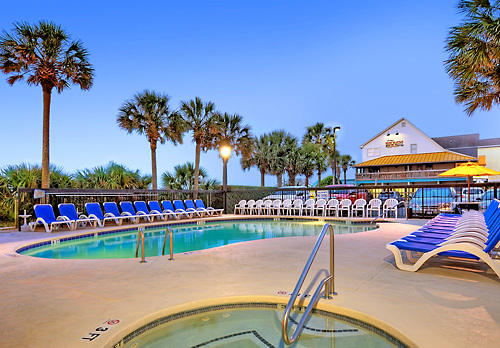 What are the pool hours at Surfside Beach Resort? The pool deck is open from 10am-10pm. 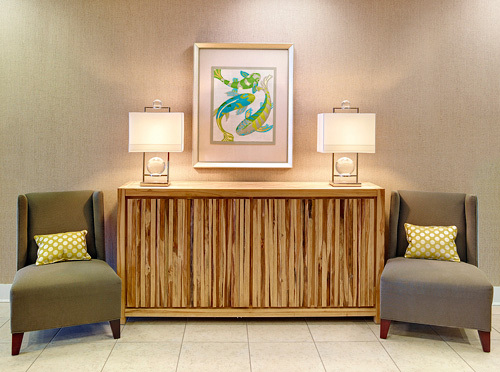 Wireless Internet access is available free of charge to guests. 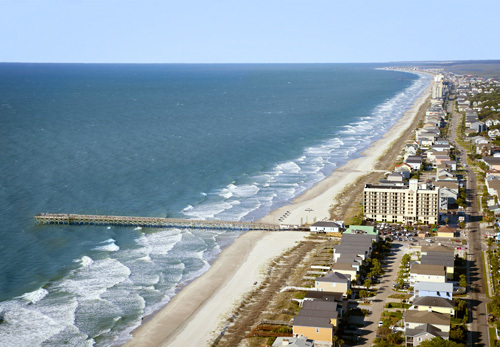 How far is Surfside Beach Resort from the Myrtle Beach Airport? Surfside Beach Resort is a 100% non-smoking beach resort. The hotel is 100% smoke-free on all floors. Smoking in a designated non-smoking area is subject to a penalty.